Android Headlines is running another amazing giveaway to gift three of their fans with a brand new Android smartphone! 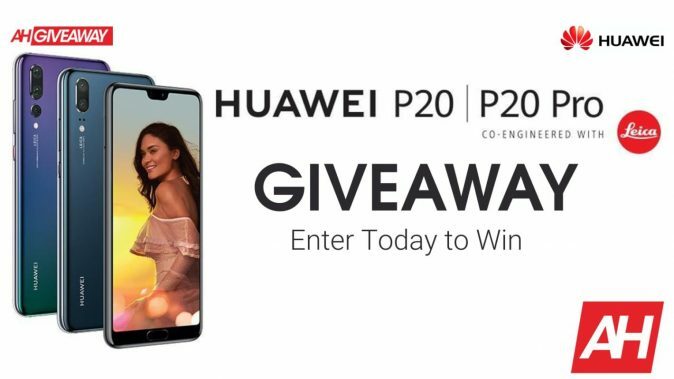 To enter in this Huawei P20 P20 Pro Smartphone Giveaway grab your free entries by following few simple steps listed down below! The Huawei P20 is an Android smartphone that features a 5.8-inch display along with a 2240 x 1080 resolution and an 18.7:9 aspect ratio. Inside, the P20 relies on a core combination of 4GB RAM, 128GB internal storage and is powered by a Hisilicon Kirin 970 SoC along with a 3,400 mAh capacity battery and Android 8.1 (Oreo). Cameras are one of the big selling points with this device and in this respect the P20 draws on a rear dual camera setup consisting of a 12-megapixel RGB sensor and a 20-megapixel monochrome sensor. The front-facing camera comes in a 24-megapixel flavor and there’s a number of software tweaks for both front and rear setups to improve the overall experience.